Hairs and Graces Extensions Ltd supply 100% human hair extensions throughout the United Kingdom, Ireland, Europe and other countries such as Dhabi, Australia, America and much more… We have a large existing loyal customer base which has been with us since we have been established due to our outstanding customer service, excellent quality of hair and products. 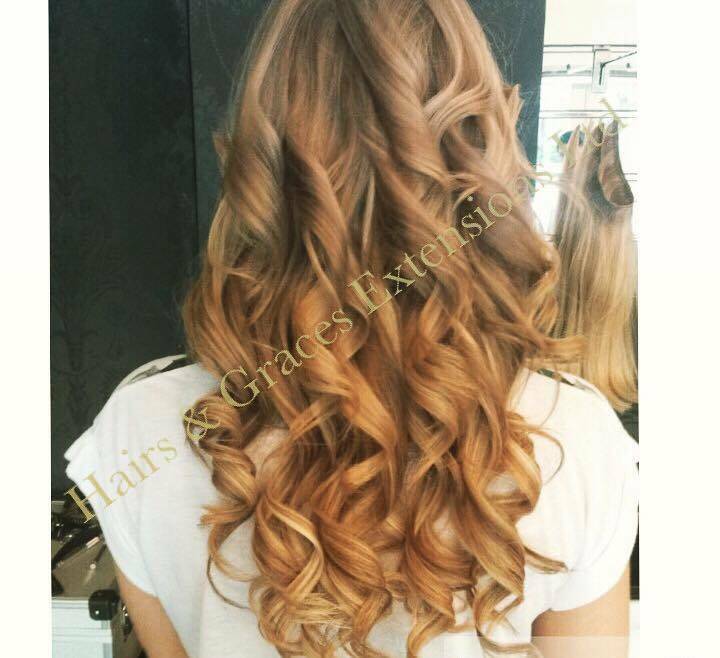 Hairs and Graces want to make it as simple as possible for you to achieve a gorgeous, natural-looking finish for your hair extensions Birmingham. We want to ensure that our clients are completely satisfied with their new hair designs and will cut no corners to bring you the greatest hair extensions in Birmingham at rock-bottom prices. Hairs and Graces brings you the finest and highest quality hair extensions from micro ring and clip in styles to weaves, mesh and stick tip hair extensions. For the best customer experience, we recommend booking a private consultation with our hair extension fitting team. Visiting us in-house allows us to take a good look at your hair and have a chat with you about your preferences. You can consult with our staff for sound, honest advice – when it comes to hair extensions in Birmingham, we’re at hand to show you the best looks and the latest trends to make sure that you get the most out of the best hair extensions that Birmingham can provide. Besides the comprehensive collection of hair extensions available from Hairs and Graces, we also offer hair extension training courses. Currently, we have a special offer on where we offer training on three techniques including: micro ring single strand training, micro ring weave training and micro ring mesh hair extension training. As part of the hair extensions courses you will learn a wealth of information and tips from client consultation, hair preparation and colour matching to hair extension application, removal and maintenance. As well as the finest training, each trainee will receive a certificate on completion, a training manual and a free poster for your salon. And like all products and services from Hairs and Graces, we provide a full support service for ongoing help following the training if you require it- just freephone 08006190058. So if your training to be a hairdresser, stylist or you’re just a hair extension enthusiast, hair extensions courses from Hairs and Graces is your number one choice. We are one of the UK’s hair extensions suppliers in Birmingham and the Midlands, catering to over 500 clients, both self-employed mobile hairdressers and larger salons alike. Unlike many other hair extensions suppliers, we offer a much more personalised approach to our products and offer an unrivalled level of service that ensures our business customers are well-informed about the hair extensions they choose for their clients (and themselves!). You won’t find any other hair extensions suppliers that are as committed to the success of your business as we are. Fancy becoming a bona fide hair extensionist? We can teach you how to fit and replace all of our products with our hair extension training courses, which are offered to all individuals wishing to study the tricks of the trade. Our hair extension training courses are a must if you’re looking to apply your own extensions or simply want to add to your existing hairdressing skills. Revamp your style and boost your confidence with our 100% natural micro ring hair extensions. 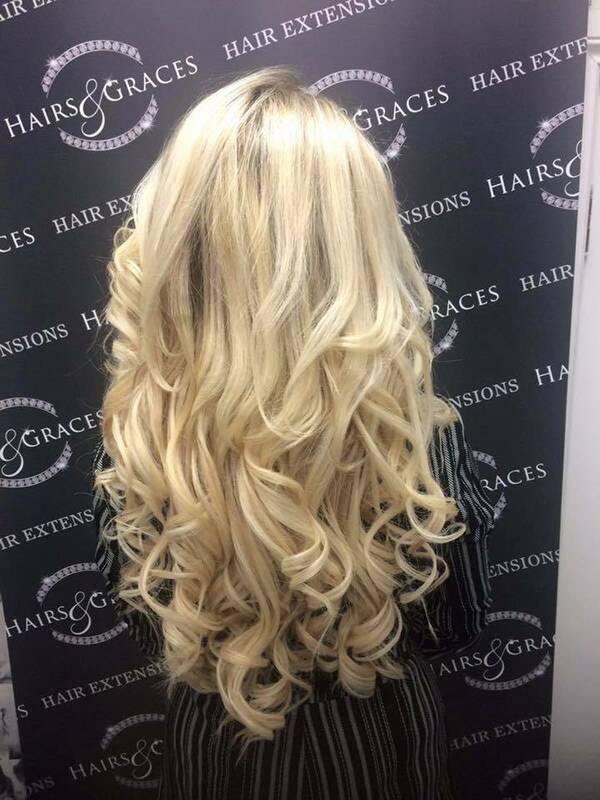 The team at Hairs and Graces in the West Midlands specialises in providing our customers with an unrivalled number of silicone micro ring options and some of the best hair extensions Birmingham can offer, ensuring that each purchase will complement the natural texture and colour of your hair. We’re also a highly-regarded hair extensions supplier and offer comprehensive hair extension training courses at our centre in the heart of Birmingham. You’ll be stunned with the sheer quality of our silicon micro rings. Simple to apply and made from the finest Remy-graded hair, these micro ring hair extensions are considered the most comfortable and long-lasting extensions on the market thanks to their unique, intelligent design. Best of all, these kinds of extensions won’t damage your existing hair, as there are no glue products or complicated braiding involved in the application process. Once you’ve chosen your micro rings, you’ll undoubtedly need to pick your favourite stick tip hair extensions too. Our stick tip hair extensions fit hand in hand with the micro ring hair extensions and can be fitted with minimum hassle. Made with only the highest quality keratin tips, these stick tip hair extensions in Birmingham come in a range of lengths and shades so that you’ll find a product to meet the needs of even the most demanding client! Choose the number of micro ring hair extensions you need, select your desired colour stick tip hair extensions and checkout via our online secure payment system. We’re a dedicated hair extensions supplier and it couldn’t be easier to get hold of our stunning, affordable micro ring hair extensions!